In present day competitive environment, it is essential that for survival one performs very efficiently. He is to be one step ahead of his competitors in productivity and efficiency to be competitive. He should be in a position to foresee the future things and plan properly accordingly. He should continuously improve his performance so that he is not left behind during the changing environment in the times to come. Working with systems and procedures provides a person the necessary implements for this need. Procedures are series of steps constituting a planned method of carrying out an activity. A number of procedures make a system. A system is a set of detailed methods, procedures and routines created to carry out a specific activity, perform a duty, or solve a problem. It is an organized, purposeful structure that consists of interrelated and interdependent elements (components, entities, factors, members and parts etc.). These elements continually influence one another (directly or indirectly) to maintain their activity and the existence of the system, in order to achieve the objectives of the system. 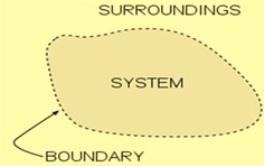 Systems underlie every phenomenon and all are part of a larger system. Systems stop functioning when an element is removed or changed significantly. At the basic level, systems are divided into the following two categories. Closed systems – Theses are theoretical systems that do not interact with the environment and are not influenced by its surroundings. Procedures are step by step sequence of activities or course of actions with definite starts and endpoints. Procedures are followed to perform a task correctly. Repetitive procedures are called routines. Procedures are needed for the following reasons. Organization should have its vision, mission and objectives. From these the goals of the organizations are to flow. For achievements of the goals, there are to be policies in the organization. For implementation of the policies procedures are needed. Procedures are documents written to support various needs of the organization. They are designed to describe ‘who, what, where, when and why’ by establishing organization’s accountability in support of the implementations of actions required for meeting the needs of the organization. The ‘how’ is further documented in detail by the units of the organization in the form of work instructions to support the procedures. Procedures play an important role in the systematic working. The key points with respect to the procedures are as follows. For each job, there is a necessity to have written down work procedure and each individual activity should have detailed written down work instructions. These work procedures and work instructions are to be revised regularly keeping in view the changing environment. The work procedures and work instructions should also define the person/persons who are to carry out the requirements of the work procedures or work instructions. The work procedures and work instructions are to be made in full detail covering all the necessary requirements of the job in all the areas related to the job. All the connected persons are to be thoroughly trained in the work procedures and the work instructions. For training, both the methods of class room training and the on the job training are to be adopted. Work procedures and work instructions are to be followed in totality without any deviations and with dedicated discipline. For this regular audit is to be carried out. Proper record keeping is important as frequent analysis of the data contained in these records contributes greatly to the continuous improvement. Further records are evidence that work procedures and work instructions are being followed. There are many benefits which an organization reaps when it works with systems and procedures. These are given below. There is an improvement in the productivity of the organization. One need not reinvent the wheel every time one starts an activity. Consistency – Since the work is done as per written procedures without interference of individuals, there is consistency in the quality of the output. Reduction in supervision – Since the work processes are carried out as per written procedures, the supervision required is very little. It frees the managers to have time for some creative thinking which in turn brings in further improvement to the processes. Management gets quick overview of the operations and the processes which assist in decision making process as well as in corrective and preventive actions. All the transactions and dealing with stakeholders are carried out in a fair and unbiased manner. The stress level of the work force comes down drastically and a relaxed workforce is able to give better output. It improves the quality of life of the work force and creates an environment of further improvement. Working with systems and procedures brings in the organization disciplined working and all the advantages associated with it. In an organization which is not habitual to working in an organized manner, it is always difficult to put systems and procedures in place. Initiating the work force in this type of working will not be easy at all. A lot of efforts and hard work is needed in the initial stage. Further this can be achieved only with the active support of the management. But once the benefits of systematic working start flowing, then everyone in the organization will realize the advantage of this. In addition to the above, many more factors should be considered to meet the expectation of the stakeholders. This has been very nicely described my Michael Porter’s National Diamond concept where he talks about the Factor Condition,Demand Condition, Firm Strategy, Structure and Rivalry, Related and Supporting Industries, Government and Chance. The above concept promulgated by Mr. Satyendra is very old concept. This concept is no more working in view of the current Global Dynamics where the Globe is your market. Countries are opening its market under WTO norms or they are making regional Free Trade regions. If a company needs to survive in this globally dynamic business environment, it must fall in line with Global companies. This is possible only through Michael Potter’s National Diamond framework for development. I am not in agreement with Shri Prasad. In case there are no systems and procedures then there will only be chaos since all the processes will go haywire. Further systems and procedures are always dynamic since they undergo revisions to suit the change in the environment. Even most economically and industrially advanced countries have faith in systems and procedures.